A note from DC - Robert and Anna Beck sold Tassajara Hot Springs to the SF Zen Center in December of 1966. It was one of three private 160 acre in-holdings in the Los Padres National Forrest that they owned. The SFZC bought the second one, the Pines, a while back - maybe the seventies. I'm not sure what its status is now - either owned by the SFZC or land-trusted I bet. The fate of the third piece, the Horse Pasture, has been unsure until now. I was happy to have had the role of introducing Bettina Ring of the Wilderness Land Trust to Robert and Adam. It's so great to have the Horse Pasture preserved au natural like this. The first fundraising we did in 1966 was to buy it, not Tassajara, which became available at the last moment. The Horse Pasture is used extensively by the students and guests at Tassajara for hiking, picnics, and sometimes ceremonies. Clay and I walked it not long ago. Robert and Anna's daughter Katie's ashes are there. Later this year, Robert's ashes will join hers. 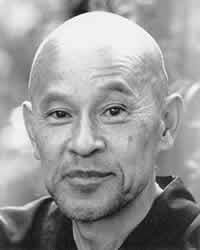 All the Becks are truly benefactors of the SFZC, of Buddhism, of the Monterrey area, and of all beings. For more on the Becks, including other links, see the cuke.com Interview with Robert Beck. 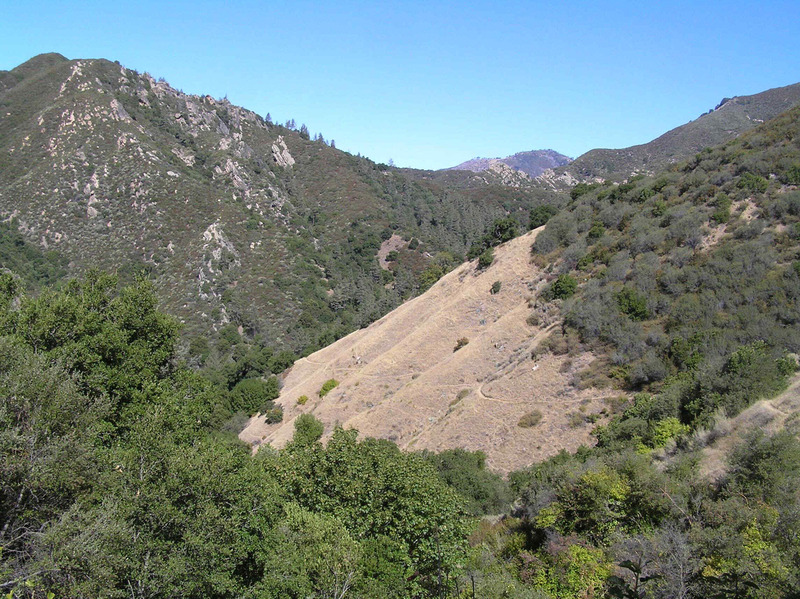 CARMEL VALLEY, CA: The Wilderness Land Trust announced today that it has purchased the historic Horse Pasture property in the northern Ventana Wilderness of the Los Padres National Forest. With partnership funding provided by the Big Sur Land Trust, the Wilderness Land Trust purchased the 160-acre property from Robert and Adam Beck of San Anselmo and Anna Beck of Carmel. Sadly, Robert Beck passed away just days before the sale was finalized. Robert and Anna Beck are the former owners of Tassajara Hot Springs. Anna Beck and her son Adam said of the Horse Pasture land sale to the Trust, "We are grateful that the legacy of our family land will always be wilderness." 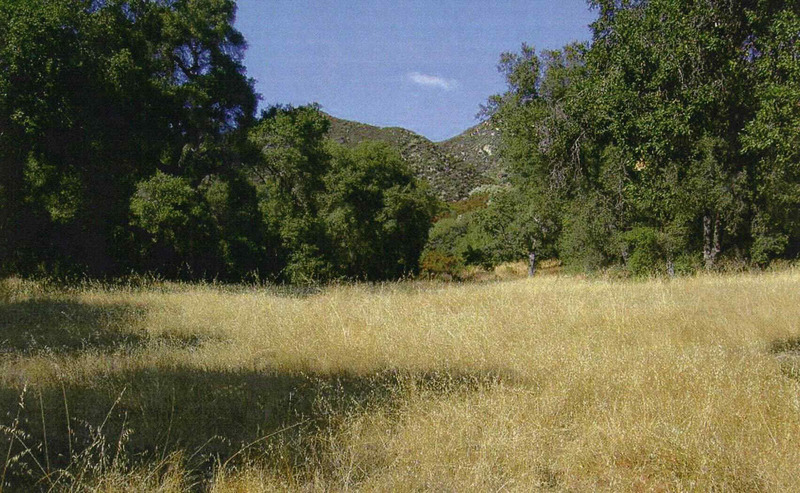 The Wilderness Land Trust will donate the Horse Pasture property to the United States Forest Service for incorporation into the adjacent Ventana Wilderness. Adding the Horse Pasture to the Wilderness Area will expand the Ventana Wilderness to 240,184 acres and guarantees that the popular Horse Pasture Trail will remain open for public enjoyment in perpetuity. The Horse Pasture was named for the flat meadows once used by wranglers to pasture livestock when stage coaches serviced the nearby Tassajara Hot Springs. The inholding was identified as a high priority conservation acquisition because of watershed and recreational features, as well as the potential threat of development as a wilderness retreat. "The rising value of undeveloped property in Monterey County made selling the land attractive for the owners and we are thankful that we could step in to secure the site and maintain its wilderness values," said Nikki Nedeff, Vice President of the Wilderness Land Trust. The parcel is vegetated with chamise-dominated chaparral and a Mixed Oak - Coulter Pine forest. Stands of the endemic Santa Lucia fir are tucked into rocky canyons that flank the meadows. Springs on the property contribute perennial flow to tributaries serving Tassajara Creek, which provides spawning habitat for the anadromous steelhead trout that negotiate difficult passage upstream through the Salinas and Arroyo Seco watershed. Financing for a portion of the project came from the Big Sur Land Trust. "We are happy to partner on this important acquisition and increase the lands of the Ventana Wilderness. Our partnership with the Wilderness Land Trust is an exciting new approach for BSLT and continues our tradition of conserving lands in the Central Coast," said Bill Leahy, Executive Director of the Big Sur Land Trust. "Transferring this property into public ownership will help ensure conservation of the valuable resources this land has to offer for future generations. This is an important opportunity made possible through public/private partnerships," said Reid Haughey, President of the Wilderness Land Trust, from the Carbondale, Colorado headquarters of the organization. Founded in 1993, the Wilderness Land Trust is a non-profit, publicly supported charity that works to purchase private lands (inholdings) within wilderness and transfer these properties to public ownership through voluntary mechanisms that respect landowner property rights and values. The Trust has protected over 20,600 acres of land in 57 different wilderness areas across California, Oregon, Washington, Montana, Colorado, Arizona and New Mexico. The Trust purchased the Horse Pasture property as part of its ongoing effort to complete California's wilderness system by working with willing sellers to acquire and transfer over 100,000 acres of remaining private inholdings to public ownership. The Horse Pasture: used to graze livestock that transported visitors to the nearby Tassajara Hot Springs deep in the Ventana Wilderness of the Los Padres National Forest.